This post finds its roots in a virtual conversation that I had a while ago with fellow blogger Suzanne from the cooking blog A Pug in the Kitchen in the comment section of my post about my participation in the 2011 Vintage Port Tour in NYC. In that context Suzanne asked me about a bottle of “Port” that someone had gifted her, a Port that was made in the United States (California), from a grape variety that is not among the over 100 grape varieties that are recommended or permitted by Portuguese regulations for the production of Port and that (literally speaking, dulcis in fundo) had some chocolate syrup added to it (ugh). The ensuing discussion prompted me to promise her that I would publish a post about what is kosher and what is not in the US in regard to the use of certain notorious foreign geographical terms associated to wine, so here we go. The short of it is that there is good news and bad news for the American wine consumer. The good news is that since 2006 the US has had a set of rules in place to prevent the appropriation of those famous foreign wine terms by wineries in the United States; the bad news is that those same rules contain a grandfather provision to the effect that those US wineries that already marketed their wines using those restricted foreign names before 2006 are authorized to legally continue to do so as an exception to the general rule. But let’s dig a little deeper into this. US regulations (namely, section 5388(c) of Title 26, Internal Revenue Code, of the US Code – in short, 26 USC 5388(c)) identify certain “name[s] of geographical significance, which [are] also the designation of a class or type of wine” that “shall be treated as semi-generic” designations. These semi-generic names include such world-famous European wine names as Burgundy, Chablis, Champagne, Chianti, Marsala, Madeira, Moselle, Port, Rhine Wine, Sauterne, Sherry, Tokay and others. Until 2006, those US regulations permitted the appropriation of any of such names by any US winery provided that the winery disclosed on the label, next to the appropriated name, “the true place of origin of the wine” (for instance, “Russian River Valley Champagne”, such as the one that was unfortunately served on the occasion of the inauguration of President Obama’s second term in office and other US Presidents before him). In essence, by so doing US wineries were legally authorized to exploit the notoriety of those wine names that were clearly associated with specific European territories, permitted grape varieties and strictly regulated enological practices (to have an idea of what I am talking about, you may want to refer to my previous post on Champagne and other Classic Method sparkling wines) by slapping those names on the bottles of their wines and just adding the State they were made in. This prompted the birth of not only Zinfandel-made “Chocolate Port” but also such other enological creations as “Almond Flavored California Champagne“, “California Chablis” coming in 5-liter cartons reportedly made from such varieties as Thompson Seedless, Chasselas, and Burger (instead of Chardonnay), and so on. Which begs the question: what purpose were those rules serving? Were they in the interest of the education of the US consumers or perhaps were they just meant to increase the sales of domestic wine producers by allowing them to piggy back on world famous names that had gained notoriety through centuries of know how, hard work and quality regulations? One gets to wonder, because it looks like such rules were actually promoting confusion and misinformation among most of the vast US wine consumer base without educating them about the importance of concepts such as appellations, terroir, traceability, authenticity, specific enological practices, local traditions and ultimately quality. 2006: New Dawn or Unsatisfactory Compromise? On March 10, 2006 the US Government and the European Union executed an agreement on trade in wine (the “US/EU Wine Agreement“) pursuant to which, among other things, (i) each party recognized the other’s current winemaking practices; (ii) the US agreed to restrict the use of such semi-generic wine names in the US market to wines originating in the EU; and (iii) each party recognized certain names of origin of the other party in its own market. As a result of the US/EU Wine Agreement, legislation was passed in the US (in the context of the Tax Relief and Health Care Act) on December 20, 2006 to amend 26 USC 5388(c) so that it would be consistent with the principles set forth in the US/EU Wine Agreement. So, everything seemed finally to go in the right direction, with a commitment by the US Government to prohibit potentially deceptive practices such as appropriating famous foreign wine names. However, things are rarely black and white and, as they say, for every rule there is an exception: enter the grandfather clause. Beside agreeing on banning the appropriation of such famous foreign wine names going forward, the US/EU Wine Agreement “grandfathers” (i.e., exceptionally tolerates) those same prohibited practices as long as they had already been in place in the US and approved by means of the issue of a COLA (Certificate of Label Approval) before March 10, 2006. This exception is the reason why certain US wineries still enjoy the privilege of legally calling wines made in the United States Champagne, Port, Chablis, Chianti, Sherry and so on. From a strictly legal standpoint, I can see the reasons why the US Government had a hard time stripping wineries that had until that time been authorized to legally use those names of the right to use them anymore. (ii) it sounds like an unjustified penalty to all those US wineries that had “done the right thing” by refraining from following such dubious practices and building customer recognition for their own products based on their merits alone, instead of taking the shortcut of “name dropping”. Because of the reasons mentioned above, I have personally decided not to patronize or review wines made by those US wineries that have chosen to carry on those potentially deceptive practices, although permitted under the grandfather clause of the US/EU Wine Agreement. On a final note, in 2005 the regions of Champagne (France) and Porto (Portugal) joined forces to create an organization based in Washington DC that is called The Center for Wine Origins and that aims at educating and sensitizing the US consumers and lawmakers as to the importance of the place of origin of a wine and of affording greater protection to wine place names by keeping wine labels accurate so that consumers are given a chance to make informed choices when selecting their wines. You can learn more about this initiative through the organization’s Web site, www.WineOrigins.com. As always, feel free to share your thoughts on this subject through the comment section below. This entry was posted in Wine, Wine Education and tagged EC, education, EU, grandfather clause, reserved wine names, semi-generic wine names, USA, wine, Wine Agreement of 2006, wine designation, wine origin on June 12, 2013 by Stefano. No, but see, that’s too easy: why then (just for the sake of the example) didn’t the Spaniards do the same instead of calling their fortified wine Sherry? Or the English/Sicilians instead of calling it Marsala? Or the people from Madeira instead of calling theirs so? And in each case build their own brand? Why shouldn’t these guys do the same and come up with a fanciful name of their own or use their own geographical name for (in the example) their own style of fortified wine? Why should they piggy back on someone else’s hard work and appropriate a name hat has nothing to do with them geographically or for the traditions and regulations that have made that name famous among consumers after years of investment and commitment? And honestly, should we as consumers really accept that a beverage made in California out of a mixture of Zinfandel and chocolate should be called Port? Sorry, I don’t buy it. They should put in the effort, build their own brand and if they have a good product the consumers will repay them of their efforts. Thank you for joining the discussion, Anatoli. A very interesting post Stefano. I had thought that the name Champagne couldn’t be used on any wine label other than one on a bottle made by the traditional Champagne method from the permitted grape varieties grown in the delimited Champagne area. But this must be something that can only be enforced within the EU. I think even the house of Yves St Laurent had to back down and rename a perfume they had originally christened Champagne when they were challenged in court by the Champenois. But again I suppose that was under EU law. It is a shame, I think, that producers are allowed to call their wines, for example, Chablis, Port etc when they are actually nothing of the sort. I cannot imagine what ‘Californian Chablis’ made from the grape varieties you mention tastes like. Let alone almond flavoured Champagne! Education seems a way forward so it’s good to hear that it is happening. I alway enjoy your posts Stefano as they are: interesting, well researched, carefully thought out, and cogently argued. And there is always lots of food for thought. Thank you very much, B, for your always great and articulate comments: in addition, the fact that they come from someone with a formal wine education makes them all the more enjoyable. And yes, you are right: it is all a question of enforcement under local laws. At any rate, I think the 2006 agreement has at least been a step in the right direction, even if it may have fallen short of someone’s expectations. The mere idea of putting the words “almond-flavored” and “Champagne” in the same sentence just gives me the creeps! 😀 Caveat emptor, I guess! Very informative information! I had no idea this was how some of the wineries were conducting business in the US! We have over 300 wineries here in Oregon and I am going to watch out for those conducting bad business practice such as this! By the way, have you heard about our delicous Pinot Noir and Pinot Gris varieties here in Oregon? What are your thoughts on those versions as well? Isn’t that the truth! Never enough time! I do love the Willamette Valley variety too! Thank you, Suzanne, for bringing this subject up in the first place and inspiring this post. I think it is an interesting story worth telling. Glad you found it helpful. Many years ago in Düsseldorf I had the pleasure of being assisted by Paula Bosch. It’s most impressive to experience the knowledge of a certified sommelier, I have the same feeling when I read your posts!. wow, this is very informative. Thank you for posting! 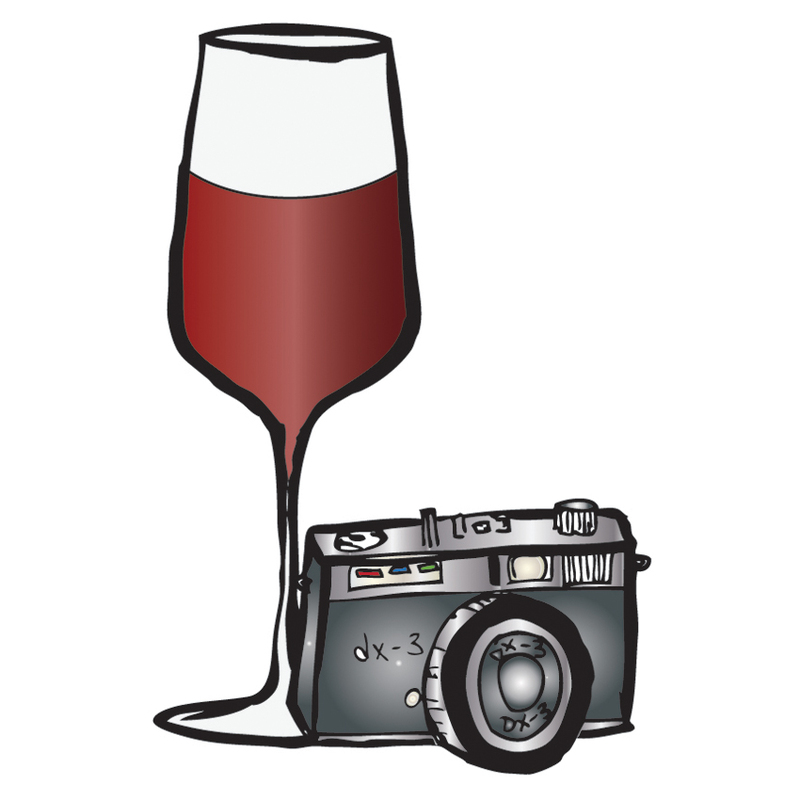 I think I will learn a lot about wine through your blogs.